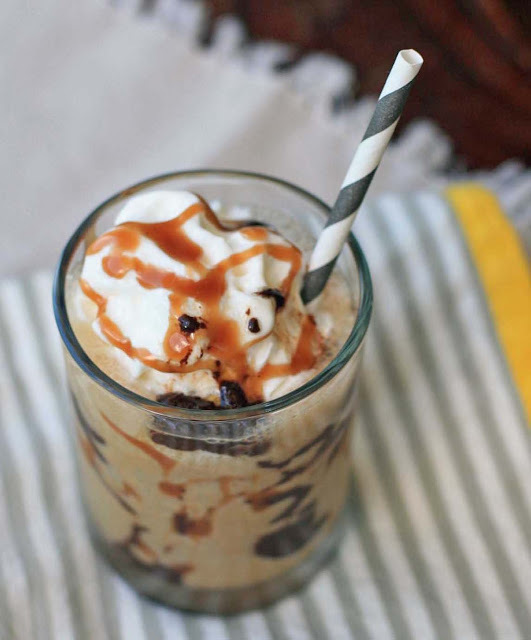 Since I had leftover bittersweet chocolate and salted caramel sauces from yesterday’s mini doughnuts, I thought I’d put them to good use and create one heck of a decadent blended coffee drink. I know that this little tidbit makes the internet rounds periodically, but it bears repeating in case anybody with a major Starbucks habit is looking to save some cash: xanthan gum is the key to those smooth, creamy and non-separating Frappuccinos. 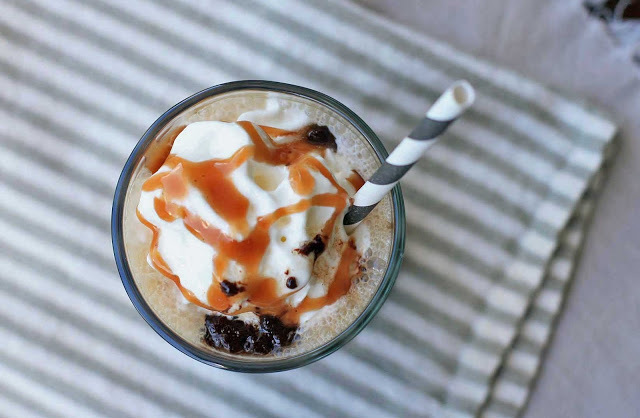 Combine the coffee, ice, milk, sugar, and xanthan gum in a Vitamix or blender jar. Blend until smooth. Top with whipped cream, salted caramel sauce, and bittersweet chocolate sauce.